The Black Peacock Humphy is a variant of the classic Humpy and is a very buoyant pattern, initially created for the swift waters of California. It is now used as an all purpose fly throughout the world and is one of the very best rough water dry flies. Tail : Deer hair tips, black or moose. Over Body : Deer hair, dark brown. Wing : Deer hair tips, black. 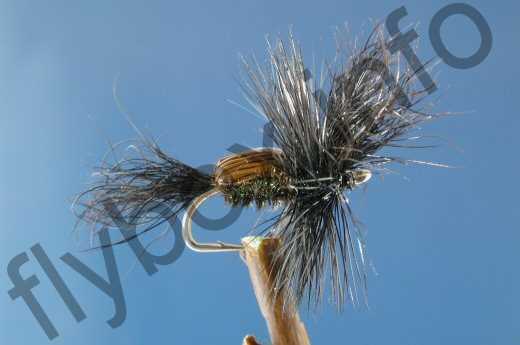 Currently there are no comments about the Black Peacock Humphy fly pattern from other fly fishermen yet.